Do the 2016 Toyota Tacoma Standard Features Stack Up? Do the 2016 Toyota Tacoma Standard Features Outshine Other Trucks? Shopping for a powerful, feature-loaded truck? As you explore the offerings of popular pickup models, you may wonder how the 2016 Toyota Tacoma’s standard features measure up to those of its competitors. Will you get everything you’re looking for onboard the Tacoma, or does a rival pickup like the 2017 Honda Ridgeline offer more for the money? We’ve conducted a comparison between the Ridgeline and the Tacoma to see how their standard features stack up against each other. Keep reading to find out which truck came out on top! The driving world’s very first dual-action tailgate also comes standard onboard the Honda Ridgeline but isn’t available for the Tacoma or any other truck currently on the market. This innovative tailgate can fold down vertically, like any other tailgate, and it can also be swung out horizontally like a door, giving drivers versatility for loading and unloading. The Ridgeline additionally features the driving world’s first in-bed trunk, which comes standard on each of the Ridgeline trims. This is a feature that cannot be found onboard the Tacoma or any other currently available pickup. This pioneering trunk is lockable, features 7.3 cubic feet of cargo space, and even has a built-in drain plug so it can double as an ice chest. As you can see, the 2017 Honda Ridgeline is a clear winner when it comes to standard amenities. 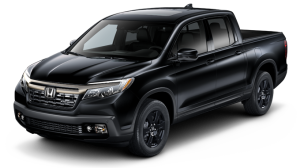 Drivers can explore the Ridgeline’s other outstanding features and offerings and also test out this impressive truck at any Central Illinois Honda Dealers location. Stop in and see us or contact us today to take the Ridgeline out on the open road and see what it can do! 0 comment(s) so far on Do the 2016 Toyota Tacoma Standard Features Outshine Other Trucks?